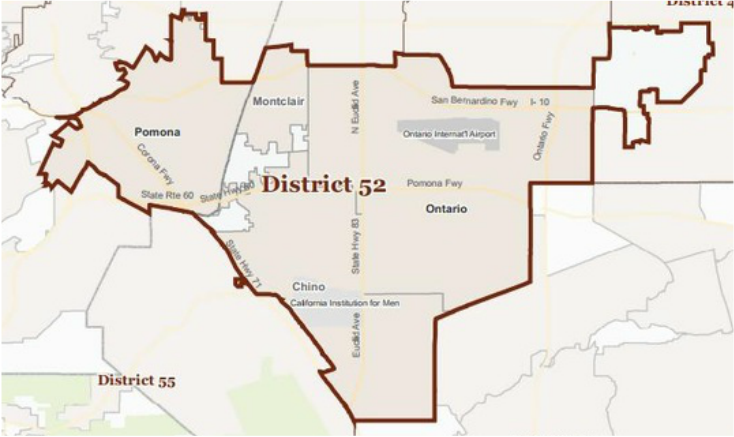 Democrat Freddie Rodriguez currently represents Assembly District 52 and will not be termed out until 2024. Rodriguez is expected to easily win re-election in 2016. Born and raised in the City of Pomona, Freddie Rodriguez has dedicated his life to serving his community. He has worked as an Emergency Medical Technician (EMT) in the San Gabriel Valley for over 29 years. As an EMT, Freddie was awarded the California Star of Life award, for his outstanding community volunteer contributions and lifesaving rescues. In 2005, Freddie journeyed to Louisiana, Mississippi, and Texas to help the victims of Hurricanes Katrina and Rita. Freddie was elected twice to the Pomona City Council. On the City Council, Freddie helped improve public safety, expanded Neighborhood Watch programs, created new jobs as a result of the economic development projects he championed, and delivered balanced budgets while protecting city services during tough economic times. He led the effort to restore firefighting positions in Pomona, ensuring that each shift was fully staffed and that firefighters were properly equipped to respond to fire and emergency calls. A leader in helping jumpstart the local economy, Freddie brought together community and business leaders to help revitalize downtown Pomona, generate new economic investment, and create new jobs. Freddie lives in Pomona with his wife Michelle. They have four children, Desirae, Freddie Jr., Vincent, and Selena, and two grandchildren, Jayden and Jacob. Their son, Vincent, currently serves as a Deputy Sheriff for the Los Angeles County Sheriff’s Department.